Jon and Gina bake a mouth watering variety of organic sourdough breads every week. Their specialty loaves with Crabbes Creek’s unique flavours reflect the taste of the northern rivers. 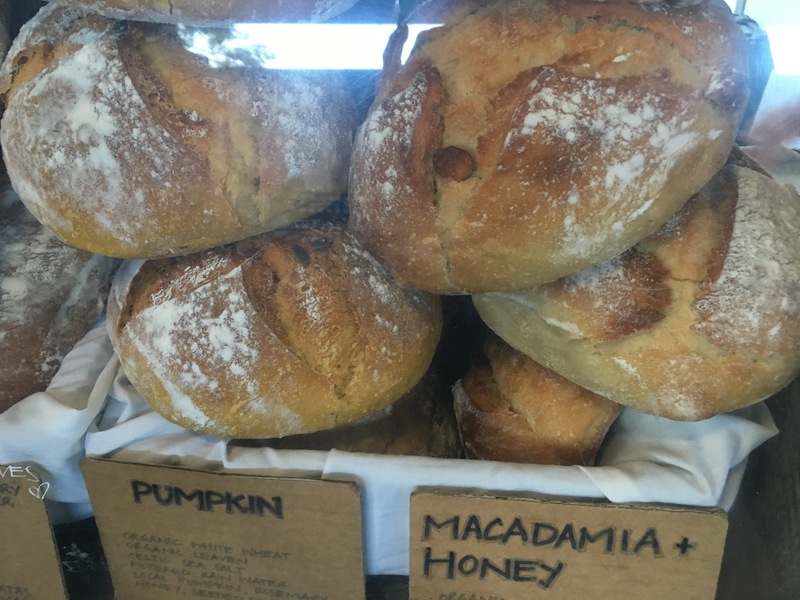 For example their macadamia and honey loaf is made using Nudgel Nuts macadamia nuts and locally grown honey. The rosemary flavoured loaves use the freshest herbs from their own picturesque Crabbes Creek property. Other varieties include their earthy linseed, and their pumpkin using sweet farmers market pumpkins. They also make stoneground, spelt, and dark rye loaves. Their very popular Baguette is a specialty and coming up to Easter – you have to taste their fruit buns – they are truly addictive. Such popular loaves are the result of skilled artisans and the best wood fired oven crafted by Jon who is a master craftsman in this field. Of course organic flour from the Wholegrain Milling Company in Gunnedah is also one of the key ingredients that ensures every loaf is perfect.